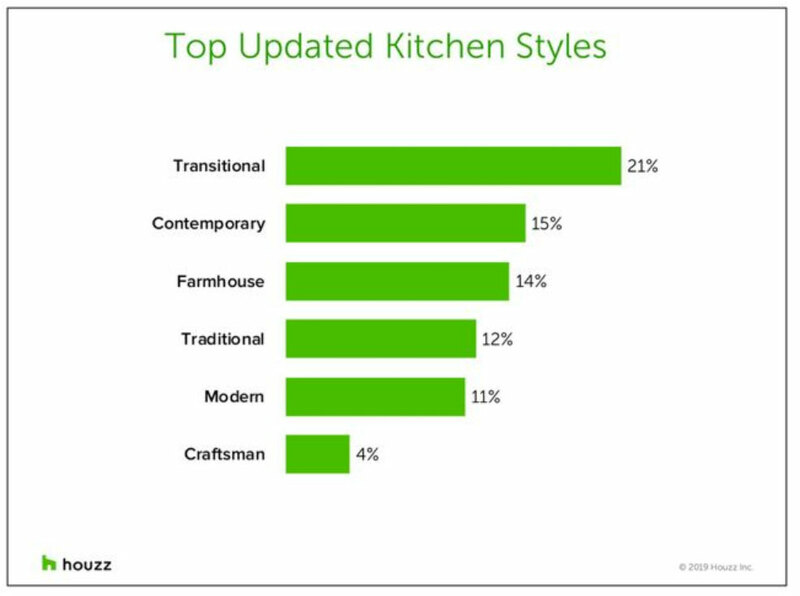 According to the Houzz study, Transitional is the most popular kitchen style (21%), followed by Contemporary, (15%), with Farmhouse on the rise at 14%. Other popular styles for kitchen renovations include Traditional, Craftsman, and Modern. Transitional designs are somewhere in between traditional and modern styles, bridging the gap between the two. They mix natural and manufactured materials. Overall, the aesthetic is warm and welcoming, unfussy and may incorporate classic components. Essentially, transitional is a blend of both traditional and contemporary styles. A transitional kitchen will often feature wood, steel, glass and stone or marble all in the same space. This could include wood cabinets, concrete floors, marble, and stainless steel working together to create a harmonious vibe. Considering a kitchen renovation this year? If so, you may have considered replacing your old outdated cabinets with modern “Shaker-style” ones. According to a 2019 “Houzz Kitchen Trends” study, Shaker is the number one style overall style for cabinets. The majority of renovating homeowners opt to upgrade their cabinets (a whopping 78%)! 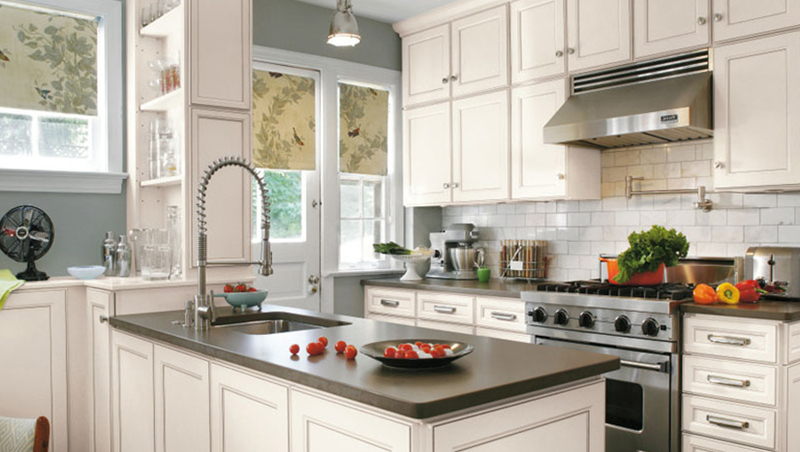 Shaker cabinets, or shaker style cabinets are most popular in remodeled kitchens. 57% of all homeowners are choosing Shaker style cabinets and similar recessed-panel door styles for their kitchen redesigns. Flat panel and raised panel are also popular options. Most homeowners are remodeling kitchens with custom cabinets (41%), and 33% go with semi-custom cabinets. Only one in 10 (12%) opt for ready-to-assemble cabinets. For the majority of homeowners renovating their kitchens, 54% opt to mix metal finishes in their hardware and fixtures – these include faucets, lighting, door and cabinet hardware, and more. Matte nickel is the most popular option, followed by matte chrome and stainless steel. 53% of renovating homeowners are interested in more of an “open concept” kitchen space, expanding into adjacent rooms. Many are also installing kitchen islands (38%). Popular built-ins include tall cabinets (for increased storage and pantry space) (40%), wine fridges and breakfast bars. During a renovation, increased specialty cabinet storage was also popular – including cookie sheet / tray dividers, spice organizers, cutlery organization, and deep drawers. Looking to get started with your kitchen redesign? We’ve got you covered. Builders’ General has been helping homeowners complete their renovations since 1931. Contact us for a free quote to get started!